Steeped in history, with legendary stories, mythical characters and tall tales aplenty, Nottinghamshire is a rich and thriving region. Home to a vibrant community and eclectic mix of homes and architectural styles. 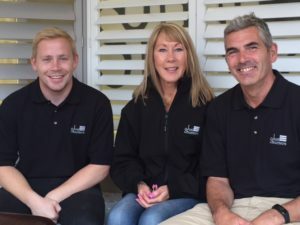 Also home to Jill and Andrew Spivey and son Joe, your local shutter experts. You can be sure that whatever your home’s period and look, Just Shutters have the experience and knowledge to create the very best shutter solutions to match. What’s more, as local people we really care about customer satisfaction. Just Shutters have designed and installed over 15,000 sets of shutters in over 7000 customers homes and businesses. We offer the largest range of materials, finishes and styles in the UK. So whether it is sleek and modern, charming and traditional or even bold and bright, we can match your taste perfectly. We cover the whole of the Nottinghamshire area and beyond. From Burton-Upon Trent in the South West to Newark in the East, to Sheffield in the North. So please call us whatever part of the county you live and we will be delighted to travel to you. Plantation shutters are the fastest growing window covering on the market. The reasons for their popularity are clear, they give a striking designer look to any window or door – view our stunning photo galleries to find out for yourself. As you can see, shutters offer a wealth of unique selling points that put them head and shoulders above other products on the market. Don’t just take our word for it, see our customer testimonials below! Download a brochure or call us on 0115 838 2558 and let us show you, with a design visit from our local shutter expert. 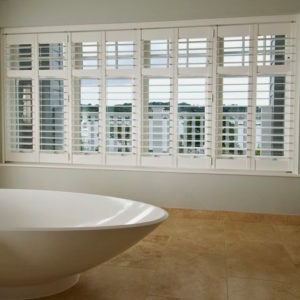 Why choose us for your window shutters in Nottinghamshire? Just Shutters Nottinghamshire is a local business run by local people. All our staff are trained to the Just Shutters exacting standard. All our products are backed by lifetime guarantee and our range of styles, materials and finishes is the largest and best in the UK – browse our extensive range here. Our overall reputation speaks for itself. Earned through hard work and dedication to customer satisfaction we have over 1800 reviews nationwide on Checkatrade with a 9.9/10 score. We hope we can show you exactly how we earned it, please call us on 0115 838 255.